- Frame : durable round tube for base frame. - Foam grip: high durable resistance NBR rubber sponge. Hand Holding Handle: Smooth handles give you a excellent workout experience ,Your whole body gets Ripped . 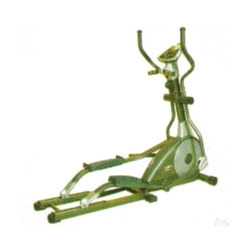 Facilitated by contemporary technology, we are offering a qualitative assortment of Magnetic Upright Bike. 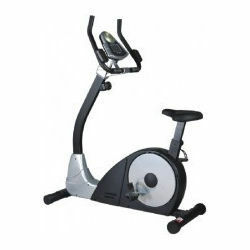 Offered upright bike is easy to install and appreciated among our clients for their smooth movement and fine finish. Monitor: Function : Speed / Distance / Time Scan / Hand Pulse / Calories / ODO. Resistance: Manual 8- Level Magnetic Resistance Adjustable System. Magnetic Wheel: Outer Magnetic Wheel with One Ways System. Backed by our affluent industry acquaintance, we present a comprehensive series of Magnetic Upright Bike.